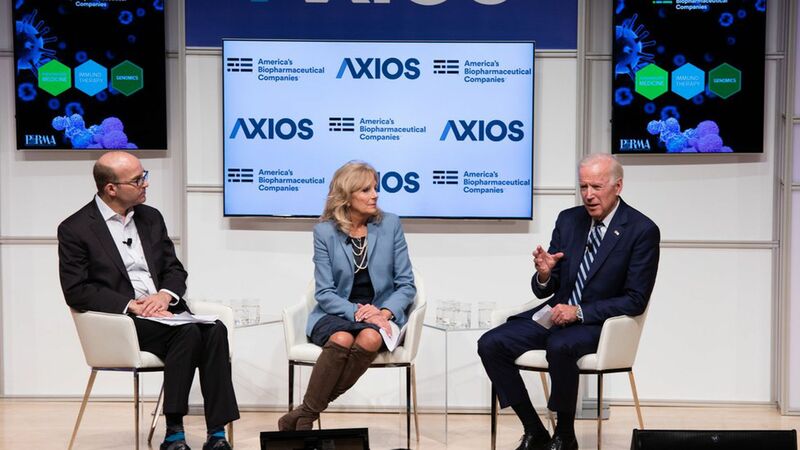 Biden: The fight against cancer is the "one bipartisan issue"
Former Vice President Joe Biden and Dr. Jill Biden sat down with Axios' Mike Allen at an event on the future of cancer research in Philadelphia with the former veep declaring the fight against cancer the "one bipartisan issue out there," promising that "we'll get all that money" via government cooperation. He specifically cited Congress' rejection of President Trump's proposed budget cuts at the National Institutes of Health as an example. The big thing: The Bidens agreed that information sharing between institutions is what will push cancer research forward the most over the next few years — with Joe declaring it "the single biggest thing" — and marked it as a centerpiece of their Biden Cancer Initiative, which stems from Biden's "moonshot" to end cancer while still in office. Some of the breakthroughs: The Bidens cited the National Cancer Institute Formulary, which pools drugs from different institutions in order to allow doctors and patients to gain easier access to them. Vice President Biden also discussed how the head of IBM offered up Watson, its artificial intelligence arm, to help patients sort through the best therapies available for their specific cancers. To illustrate the universality of the fight against cancer, Vice President Biden told a story from his days in the White House when 50 heads of state showed up for a nuclear proliferation summit, but President Obama kicked things off by acknowledging that they all wanted to speak with Biden about his moonshot initiative. A promise to their son: Beau Biden passed away in 2015 due to advanced brain cancer, and Vice President Biden said the the one thing "[Beau] wanted me to do was not walk away," which helped to jumpstart the Biden Cancer Initiative. 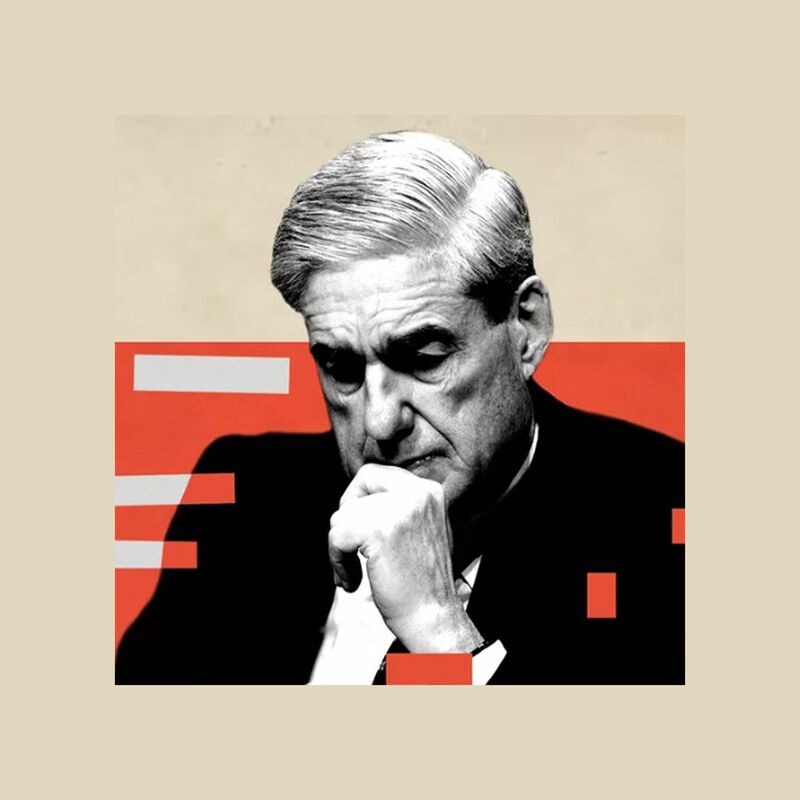 He mentioned his forthcoming book "Promise Me, Dad," which he promised was "not about grief — it's about hope." A view of the future: Vice President Biden said he could note "a half dozen significant breakthroughs" since the start of the Biden Cancer Initiative, adding that "there's an urgency now." Biden believes that "we're on the cusp of the day when you men and women take your children for their physical and they're gonna get vaccinated for cancers." 1 small thing, but a big thing: Both Bidens mentioned that simply doing something to help a friend or loved one with cancer can go a long way. Dr. Biden suggested that one should "commit to an act of kindness" as "that's what really matters to someone that's going through cancer. We had to ask: Vice President Biden also talked about his view of the Trump administration. Correction: This story has been updated to clarify that Beau Biden died in 2015.